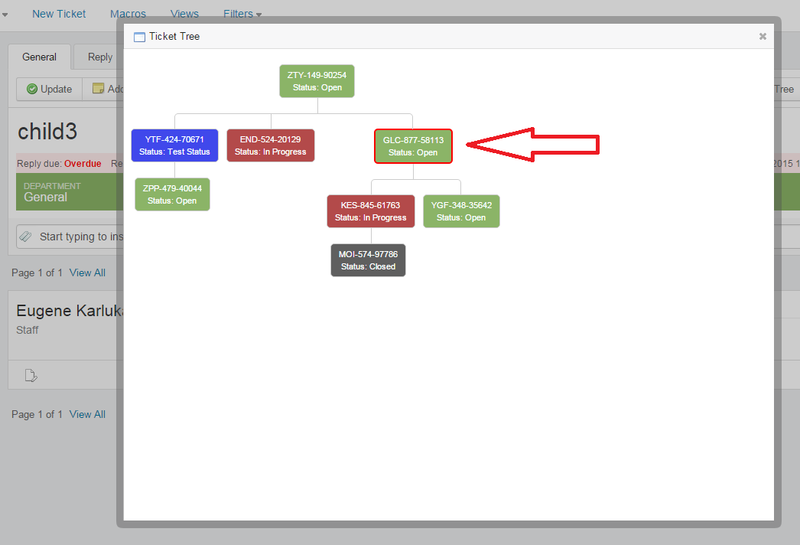 Streamline your work-flow with our brand new module! 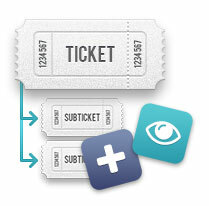 Now using Chainable tickets you can create a child ticket from every ticket in Kayako. 1. Setting process is standard. Go to the Admin CP, choose Apps in the side bar menu, click the Install button next to the module’s name. 2. 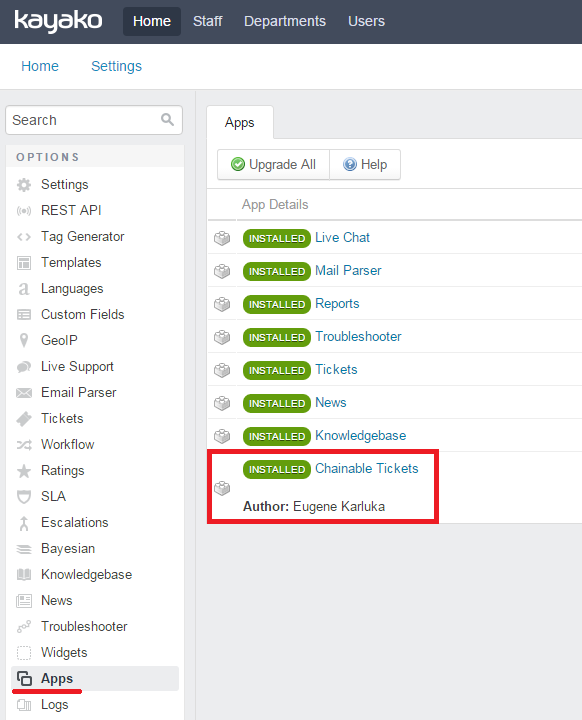 It is possible to create a child ticket from every ticket in Kayako. For these purposes in the standard button row (update, add note, etc. ), we have added the Create Child Ticket button. 3. Once this button is pressed, Kayako creates a new ticket with a link to a parent one. 4. There is a special screen for all tickets in chain, click Show Ticket Tree to view it. The screen displays the tree with all the ticket IDs linked to tickets and their statuses. All the nodes of the tree have color of a current ticket status. Note: It isn’t possible to close the ticket (status with property “resolved”) unless all child tickets are closed. If a Staff member tries to close the ticket which is in chain, the error message will be displayed.